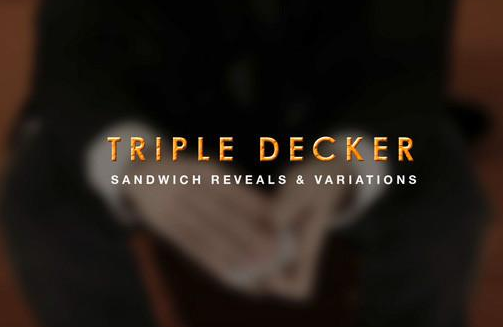 Join Eric Goldfarb for Triple Decker - a delightful look into the world of sandwich routines! On this download Eric will teach you 3 of his favorite sandwich reveals, plus 3 variations. These ideas are visual, practical, and can be used to enhance any sandwich routine!